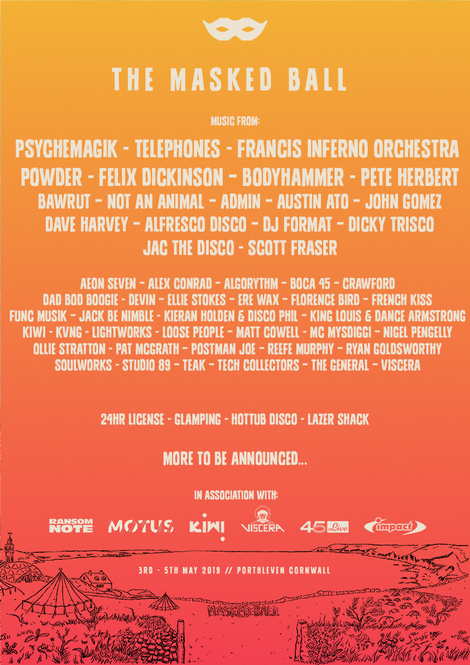 Acts announced include Psychemagik, Body Hammer, Dave Harvey, Felix Dickinson, Telephones, Francis Inferno Orchestra, DJ Format and more with surf lessons, stand up paddle boarding, hot tub disco and yoga just being a number of extras at the event. 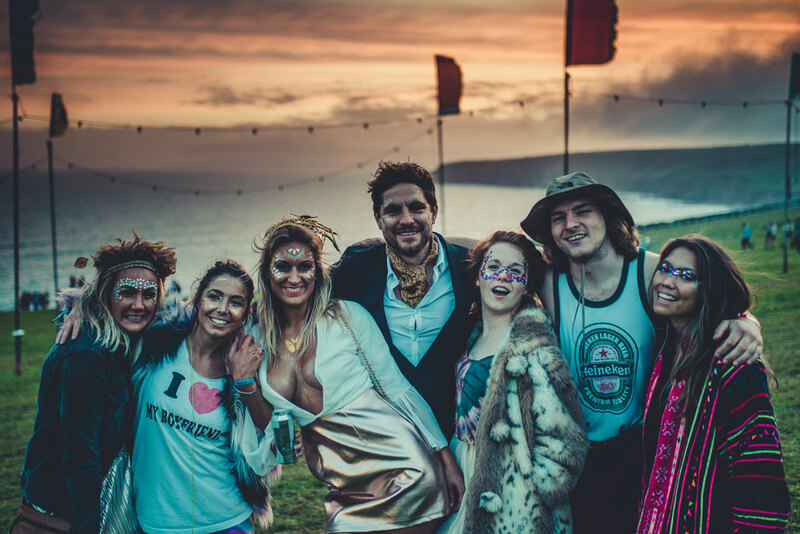 The Masked Ball is essentially a giant themed party that stands out for its cliff tops views out to sea, multiple micro venues and a 24-hour license. Besides a lineup of DJs and live acts playing in a network of small "micro venues" (as opposed to huge stages) there is a choice of daytime and nighttime activities to choose from. As for the music, among the home artists are Psychemagik, Scott Fraser and Joe Hart's Body Hammer, a showcase of Andy Bainbridge & Chris stoker’s Not An Animal label, Scotland's Austin Ato (previously known as Drums of Death), and industry veteran Felix Dickinson. The international artists include Francis Inferno Orchestra, Norwegian house artist Telephones and Japan’s Powder all dropping in. Masked Ball Summer 2018 from ARC LIVE on Vimeo.